The continuing national debate over health care has brought awareness to most Americans that a focus on wellness is critical to any possible solution. While there have been major breakthroughs in drawing attention to the obesity epidemic and the overall need to get people moving more and eating healthier, we need a breakthrough in people taking action. The mission of We Promote Health (WPH) is to bring together the entire community, challenging every organization, public and private, and every citizen, to make a commitment to healthy living. We Promote Health (WPH), in partnership with other leading organizations that share our vision, both public and private, is committed to strengthening the collaborative focus on wellness for every individual and organization in Howard County. 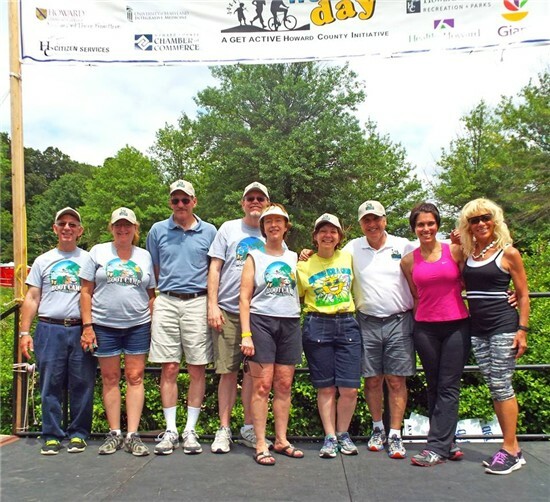 WPH serves as the coordinator for several Howard County initiatives focused on getting our community moving, eating healthier and placing a stronger priority on wellness. Our flagship initiative, Family Wellness Day, is a one day showcase promoting physical activity, healthy lifestyle and highlighting the many activities and programs that support wellness efforts in our schools, workplaces and community. This annual free event takes place the first Sunday in June at Centennial Park. Family Wellness Day is a day of celebration and healthy fun, but it is also a call to action for our leaders to come together and challenge the community to learn about and utilize the vast services and opportunities to help all of us lead healthier lives. Get Active Howard County (GAHC) is a Howard County initiative coordinated by We Promote, in partnership with leading organizations throughout Howard County. GAHC offers every organization and individual in Howard County with a FREE on-line platform including a diverse wellness calendar and year-round opportunities to plug in and utilize many wellness building resources and services. Community partners, along with a growing number of other organizations and professionals focused on wellness, offer their resources and knowledge to build the vast GAHC wellness database and on-line calendar, supporting workplaces, community organizations and individuals in reaching their wellness goals. Every year from late March to early June, GAHC challenges all Howard Countians to track their physical activity minutes by accessing the program's on-line fitness tracker. The collective goal for all individuals and teams for the 2017 10-week initiative is 1,000,000 minutes. To be clear, GAHC is not just about increasing physical activity; it's a platform to encourage everyone to focus on all areas of wellness. For more information about Get Active Howard County or to sign up as an individual or team, click on What is Get Active Howard County? The GAHC calendar will soon be available year-round and individuals and organizations are encouraged to utilize, support and contribute to it. WPH coordinates WeCan! programs for Howard County elementary schools. WeCan! is a special program developed by NIH to support families in integrating physical activity, nutrition and reduced screen time into their daily lives. WeCan! stands for Ways to Enhance Childrens Physical Activity and Nutrition. WPH is one of a growing number of organizations helping to make this program available to parents and children throughout the country. Visit WeCan Howard County for more information. We provide solutions, support and collaboration toward solving the problem of obesity, and encouraging healthy lifestyles in our homes, schools and workplaces. It is our hope that We Promote Health will have a positive impact on the health of our community, employers, schools, the food and beverage industries, families and community groups that share our concern and passion for promoting health and wellness. For more information about We Promote Health contact us at 410-988-3786 or email us at info@wepromotehealth.org. WeCan! is a national education program providing parents and caregivers of children 8 to 13 (and siblings) with tools and strategies for keeping a healthy weight. WeCan! stands for Ways to Enhance Children's Physical Activity and Nutrition. The focus is on improved nutrition, increased physical activity, and reducing screen time.A key component is involving parents/caregivers and children together.